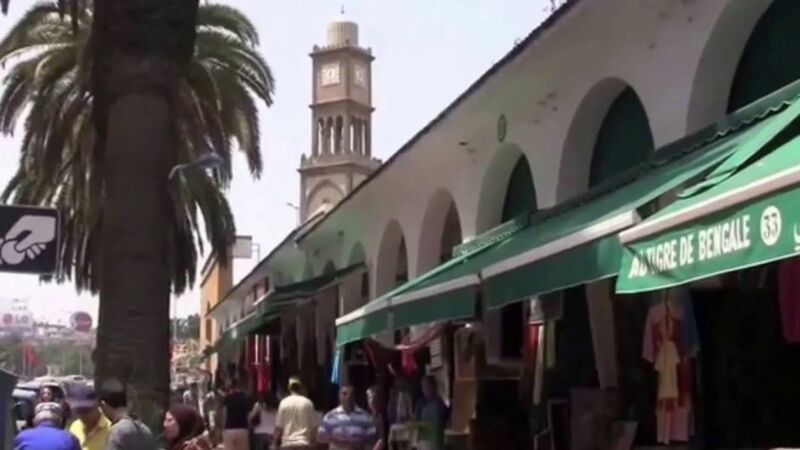 In this tour of the Jewish heritage of Casablanca, you will start visiting the sacred Jewish sites of Casablanca and then continue to see the highlights of the old Casablanca. 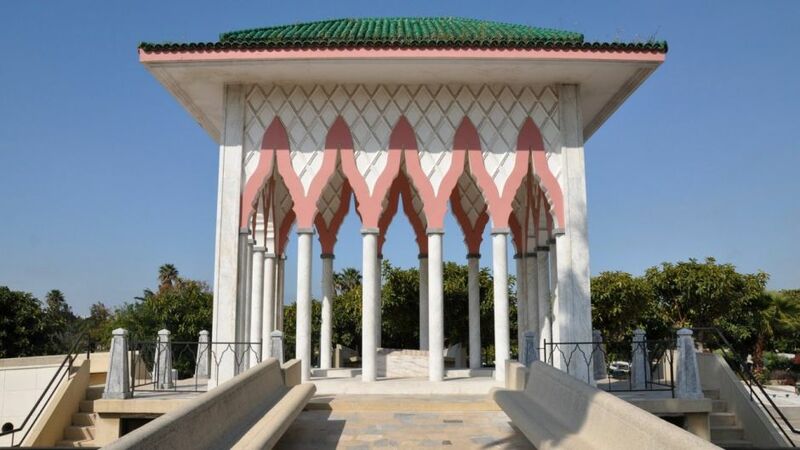 The synagogues, cemeteries, monuments and the communal institutions of Casablanca show how important the city has been for the Jewish Community during the 20th century. The mellah of Casablanca is young by Moroccan standards, not much more than a century. Attack the senses at night, with a sea of ? ?women in brightly colored djellabas who transport and sell fruits and vegetables in the narrow, narrow streets. While the Jews no longer live in the mellah, the kosher butchers are in the old market, along with other butchers who sell horse meat. The Jewish cemetery in Mellah is open and quiet, with white stone markers well preserved in French, Hebrew and Spanish. Once a year, Casablanca celebrates a hiloula, or prayer festival, at the tomb of the Jewish saint, Eliahou. Visit to the Museum of Moroccan Judaism in Casablanca. 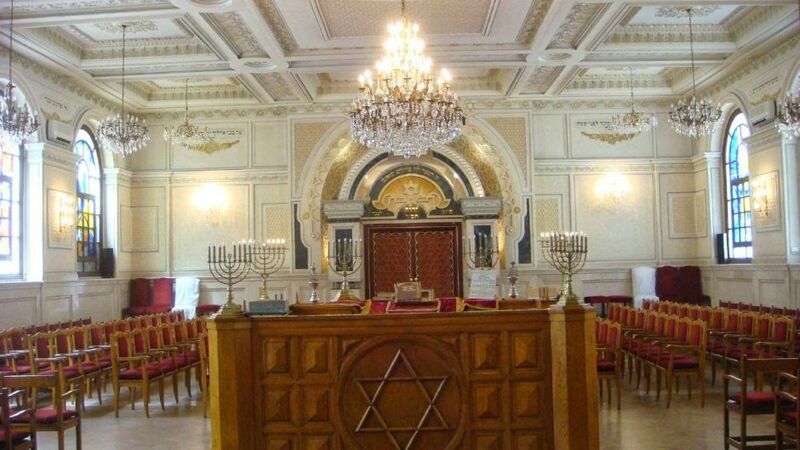 The Museum of Moroccan Judaism in Casablanca is a museum of history and ethnography, created by the Jewish Community of Casablanca in 1997 with the support of the Jewish-Moroccan Cultural Heritage Foundation. 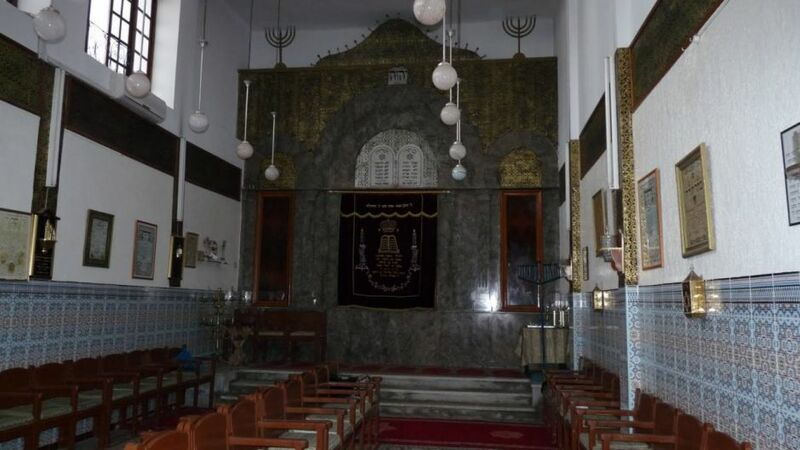 The Jewish Museum of Casablanca is located in a residential neighborhood and possesses a treasure, being the only Jewish Museum of the Arab region. It uses world class conservation standards for its national and international collections. The Museum of Moroccan Judaism presents religious, ethnographic and artistic objects that demonstrate the history, religion, traditions and daily life of Jews in the context of Moroccan civilization. The Jewish Museum in Casablanca covers an area of ? ?700 square meters, it is the first of its kind in the Arab world. It consists of a large room of multiple uses, used for exhibitions of painting, photography and sculpture, three other rooms, with windows containing exhibitions on religious and family life (oil lamps, Torah, Chanukah lamps, clothing, marriage contracts (ketubot), Torah covers ... and exhibitions about working life, two rooms with complete Moroccan synagogues, a library of documents, a video library and a photo library.The museum offers guided tours, sponsors seminars and lectures on history and Jewish-Moroccan culture, and organizes video presentations and slides, and upon special request, organizes group visits in Arabic, French, English or Spanish. The Jewish cemetery in Mellah is open and quiet, with white stone markers well preserved in French, Hebrew and Spanish. Once a year, the Casablancenses celebrate a hiloula, or festival of prayer, at the tomb of the Jewish saint, Eliahou. Cercle de L Alliance is one of the centers / buildings where the Jews of Casablanca hang. The ground floor / lobby is where people sit, smoke cigarettes or cigarettes and socialize. We will also find a small bar and a medium-sized restaurant on the same floor with excellent snacks and excellent food. A famous Piano Bar directed by an American and named after the movie "Casablanca". 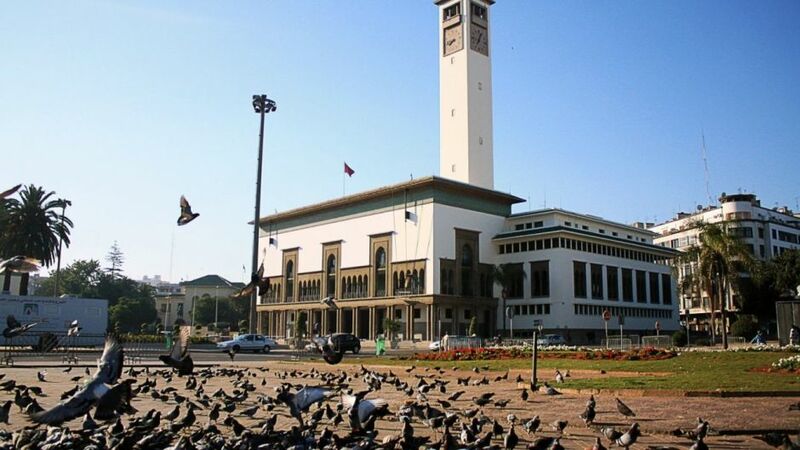 After lunch, we will visit the Mosque of Hassan II, designed by French architect Michel Pinseau. It is located on a promontory overlooking the Atlantic Ocean, which can be seen through a gigantic glass floor with room for 25,000 faithful. 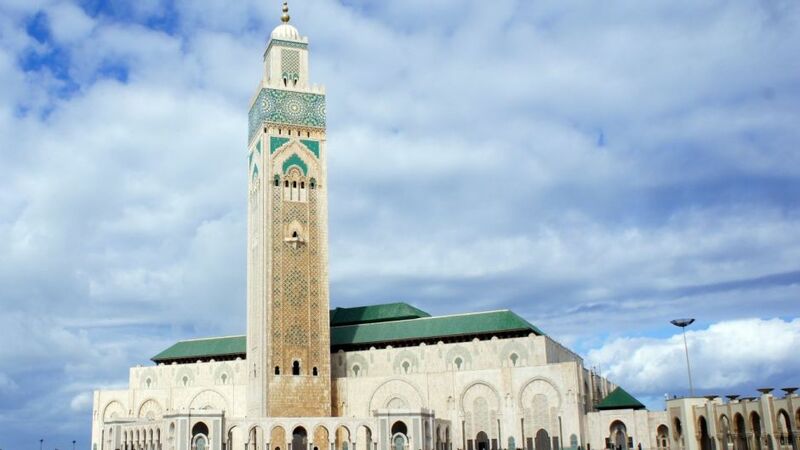 Then we will visit the mosque of Hassan II. We will visit the Boulevard that joins the Place des Nations with the train station, the gateway to the central market. Continue or until you reach the Avenue des Forces Royal, a commercial area that leads to the old medina, we will also see squala, a fortified bastion of the eighteenth century. End the day with a visit to the Habous market in Casablanca. Buy and explore local handicrafts and traditions in wood, leather and rugs.